Your dog will jump for joy at the first taste of these delicious grain-free treats that help him stay active and happy. 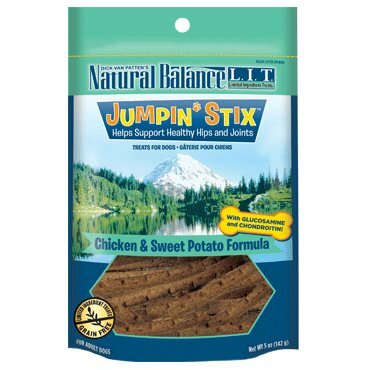 Made with a limited list of high-quality ingredients, Jumpin' Stix® are formulated with Glucosamine and Chondroitin to help support healthy hips & joints in your adult dog. Your dog gets a nutritious, amazingly tasty treat, and you’ll be happy knowing that you’re helping him stay playful. L.I.T. Limited Ingredient Treats® Jumpin’ Stix® are the perfect way to share a smile!